In his quest to dominate movie theaters for years to come, Dwayne Johnson is probably one of the few superstars with the clout to get another video game adaptation greenlit in Hollywood. With Jumanji: Welcome to the Jungle on the way this December, Johnson has got you covered for Spring of 2018 with 'Rampage' based on the 1986 arcade game. 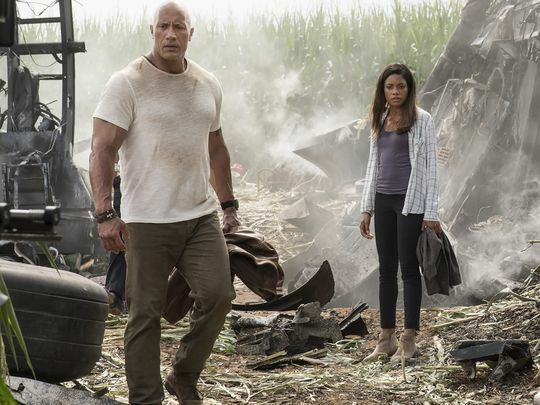 Johnson reunites with San Andreas director Brad Peyton to make a different type of disaster film, one that involves a science experiment gone wrong. The video game featured three creatures that had been genetically altered causing them to grow into gigantic monsters. The point of each level was to destroy the city amid a barrage of firepower from military forces. In similar fashion, the movie features the same animals - a gorilla, a wolf, and a crocodile - transformed into huge violent and destructive menaces. Johnson plays a primatologist who shares a bond with George, the intelligent silverback gorilla he helped raise from birth. Johnson is forced to contain his friend turned monster while battling the other two giants hellbent on destroying the city and everyone in it. Can the Rock break the code that makes this video game adaptation a hit where others have failed? 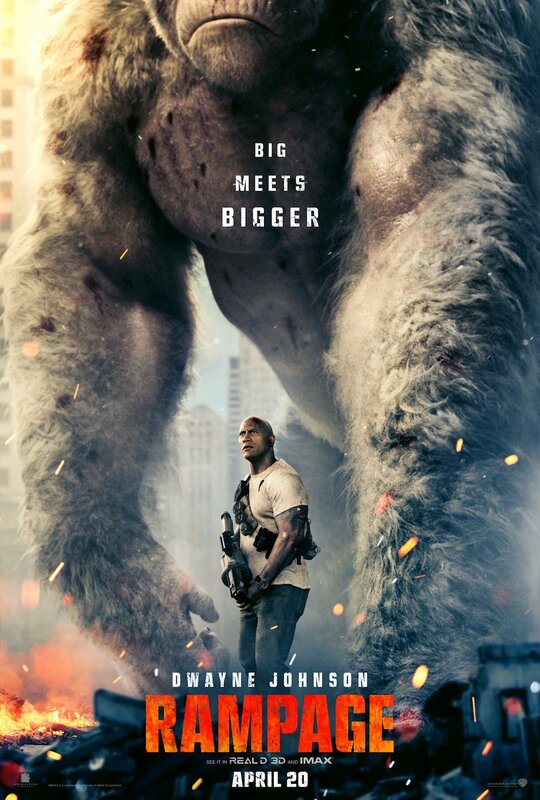 By the looks of the trailer, Rampage takes a more serious tone in-line with Godzilla and King Kong and offers an emotional center between Johnson and the gorilla. There's no shortage of rampaging and destruction in the trailer making it akin to San Andreas. If it makes at least what that movie pulled in you can consider Rampage a success. Rampage hits theaters on April 20, 2018. The star-studded cast includes Naomie Harris, Malin Åkerman, Joe Manganiello, Jake Lacy, Marley Shelton, and Jeffrey Dean Morgan.